who fathered the Faculty of Medicine Siriraj Hospital, His Royal Highness Mahidol Adulyadej the Prince Father (Rama IX’s father) and His Majesty King Bhumibol Adulyadej (Rama IX) who granted much grace and benevolence to the faculty. a focus on service excellence and internationally acclaimed standards. and to providing support for a number of activities of the hospital. as well as, to integrate operationally with Siriraj and to support the faculty’s mission. 6. To increase incentives for qualified medical personnel. At Siriraj Piyamaharajkarun Hospital, you are both a “Recipient” and a “Giver” at the same time. The Giver gives fibeneffiit Siriraj and Society as a whole. A portion of our revenue will be donated to Siriraj’s underprivileged patients and will also support a number of projects of the faculty. These projects are aimed at raising the standard of Thai Medicine among Southeast Asia’s best. Her Royal Highness Princess Maha Chakri Sirindhorn, Her Royal Highness Princess Maha Chakri Sirindhorn, representing His Majesty King Bhumibol Adulyadej, laid the cornerstone for ‘The Siriraj Building Project Initiative: Toward an Institute of Medical Excellence in Southeast Asia’ near the Thon Buri train station in Bangkok Noi district on Monday, March 17, 2008. Her Royal Highness graciously granted the name "Piyamaharajkarun" to the building. On July 6, 2010, the Faculty of Medicine Siriraj Hospital of Mahidol University passed a resolution to establish Siriraj Piyamaharajkarun Hospital or SiPH, using the building. 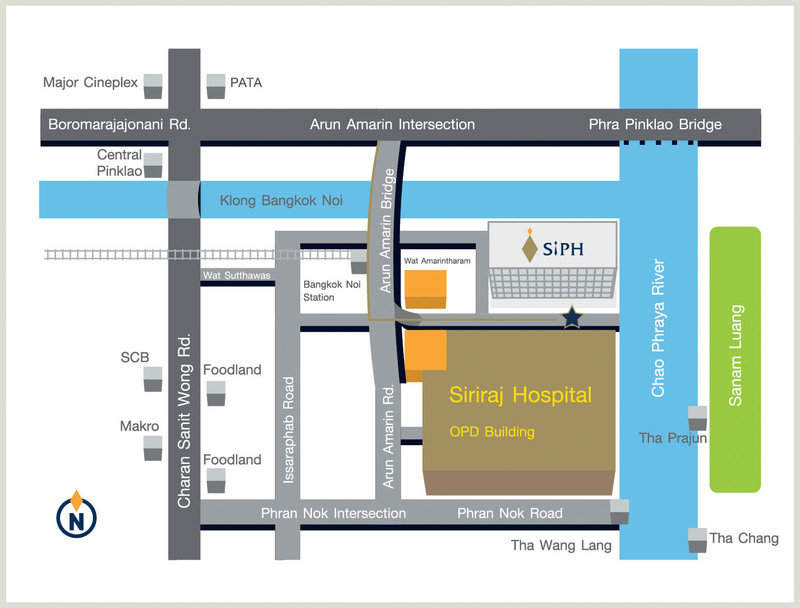 A “Recipient” receives Siriraj’s excellent medical services guaranteed by an Internationally Acclaimed Standard. A “Giver” gives for the benefififit of Siriraj and Society as a whole.